I am interested in developing autonomous robot systems. I founded the KOVAN Research Lab. in 2002 and have been its director since then. 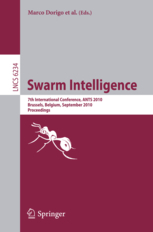 My research focused on the development and control of swarm robotic systems and on the learning of affordances and concepts in language in robots. In 2009 I was awarded a free 53-DOF iCub humanoid robot platform by the RobotCub project to support my research in cognitive robotics. 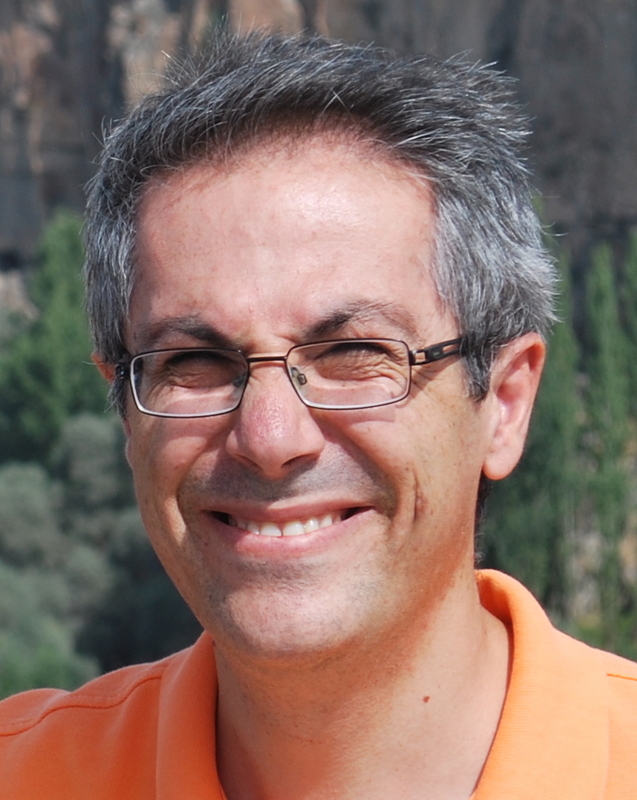 I received my PhD in Cognitive and Neural Systems from Boston University in 2000, after getting my BSc and MSc in Electrical and Electronics Engineering from Bilkent University, and Computer Engineering from Middle East Technical University in 1991 and 1995 respectively. Before assuming my current position, I worked as a Chief Scientist at the Starlab Research Laboratories, Belgium, and as a post-doc at IRIDIA of Universite Libre de Bruxelles, Belgium, for the Swarm-bots project coordinated by Prof. Marco Dorigo. I visited the Personal Robotics Lab., and Manipulation Lab. of Robotics Institute at Carnegie Mellon University between 2013-2015 as a Marie Curie International Outgoing Fellow through the project ITHRUI (Towards Better Robotic Manipulation: Improvement through Interaction). Offering Intr. to Operating Systems during Spring 2019. Turkiye Robotbilim Konferansi (TORK)'2019 @ Ozyegin Universitesi 26-28 Haziran 2019..
Verb concepts from affordances, Interaction Studies'2014. To afford or not to afford: A new formalization of affordances towards affordance-based robot control. AB'2007. Complete list of publications available here.. 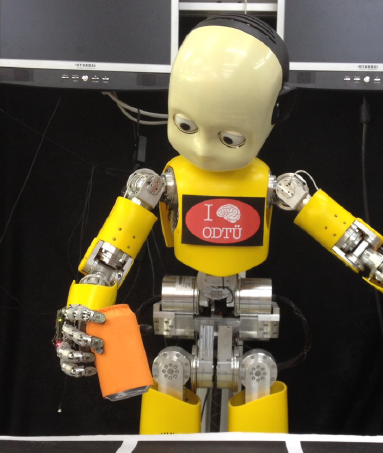 Emergence of communication in iCub, RobotCub project. Affordance-based Development of Concepts and Tool Use in Humanoid Robots, with project identifier TUBITAK-109E033.